1. 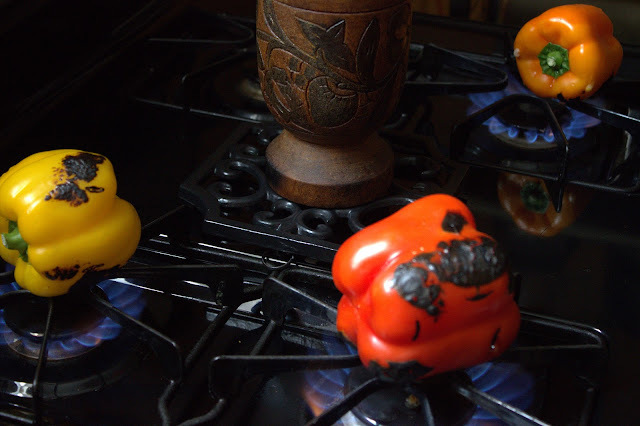 Place peppers on direct flame of the stove top, rotate to ensure even charring. Once barely recognizable (this will take about 15 to 20 minutes). Transfer to a large bowl. Cover with plastic wrap; steam 2 to 3 minutes. Using a paper towel, rub off pepper skins, reserving any juices in bowl. 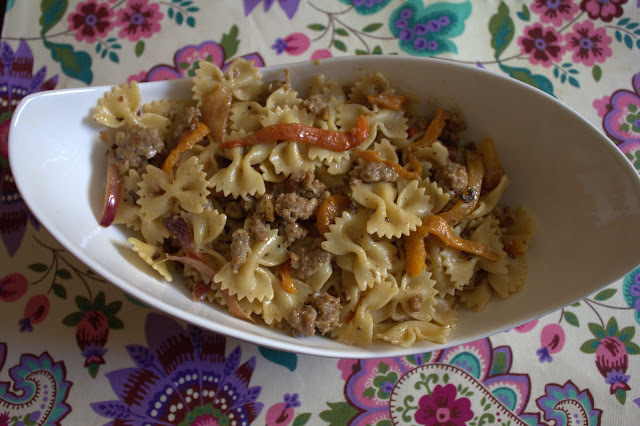 Thinly slice peppers crosswise into 1/4-inch strips; return to bowl. Set aside. 2. 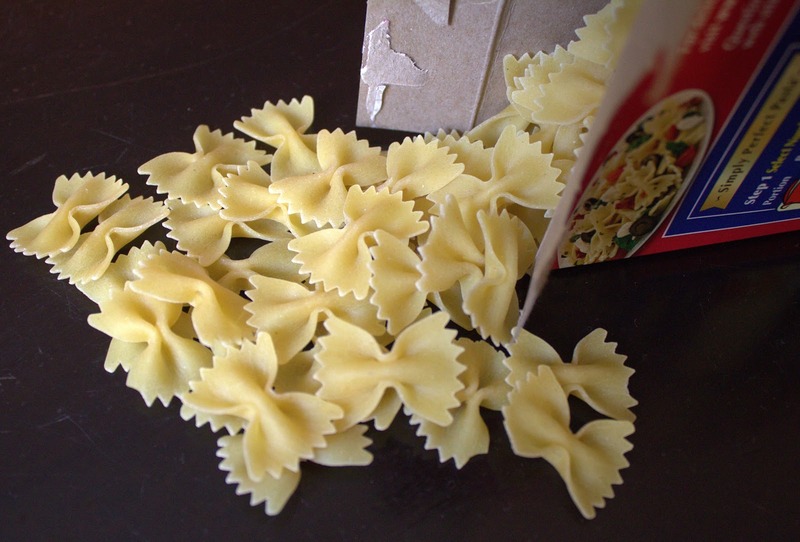 In a large pot of boiling salted water, cook pasta until al dente, according to package instructions. Drain, reserving 1/2 cup pasta water. 3. In a large skillet over medium heat. 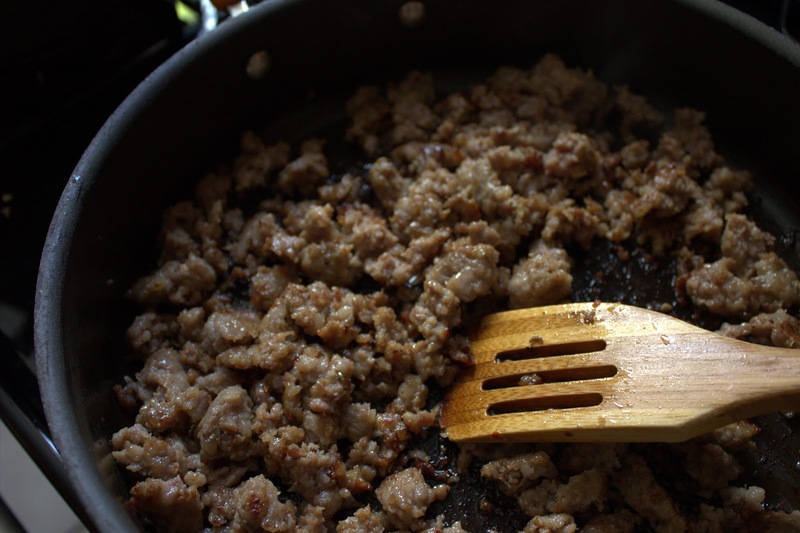 Cook sausage, breaking it up with a spoon, until browned, 7 to 10 minutes. Transfer to a large bowl. 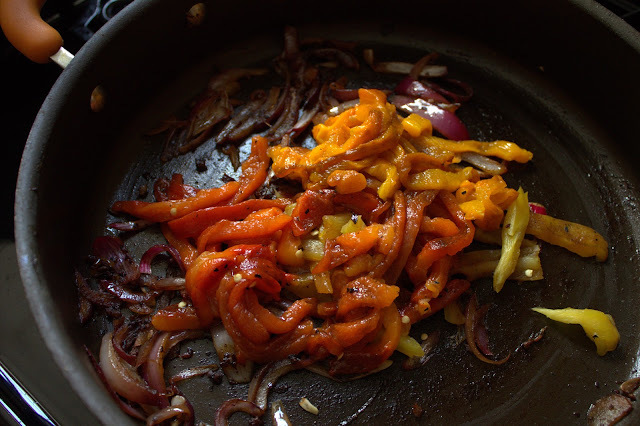 Add sliced red onion to the skillet. Sautee for about 5 -8 minutes until caramelized. 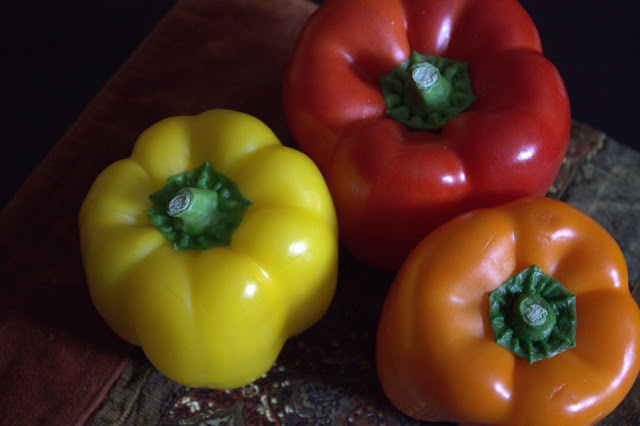 Add roasted peppers; cook until heated through. Add sausage back in. 4. 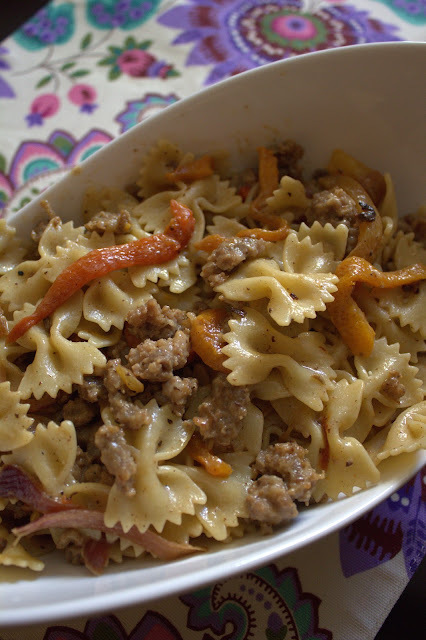 Transfer onions and peppers to bowl with sausage ; add pasta, butter, reserved pasta water, and Parmesan. Season with salt and pepper. Toss to combine.